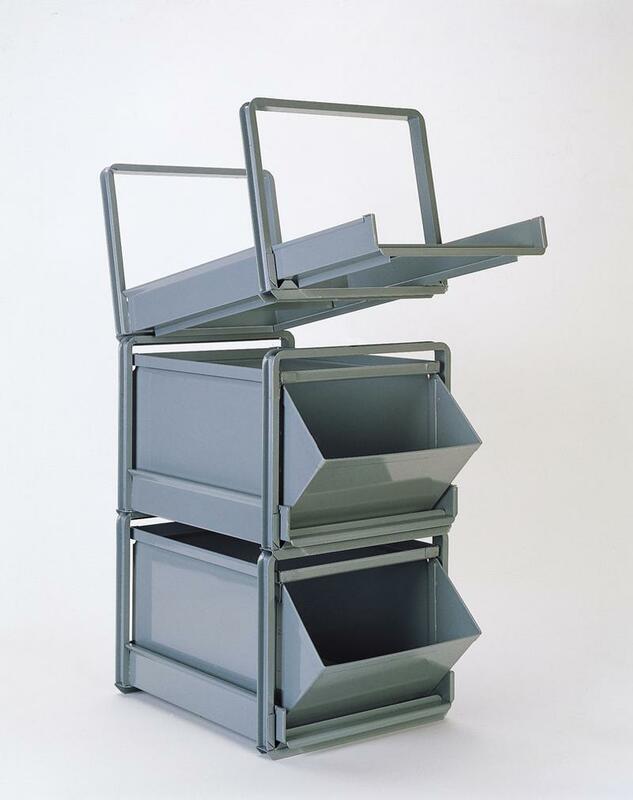 Here are a few "Plastic" bin storage units with roller bearing Stackracks that have been built using same size bins and set on top of our standard 12" high rack base. 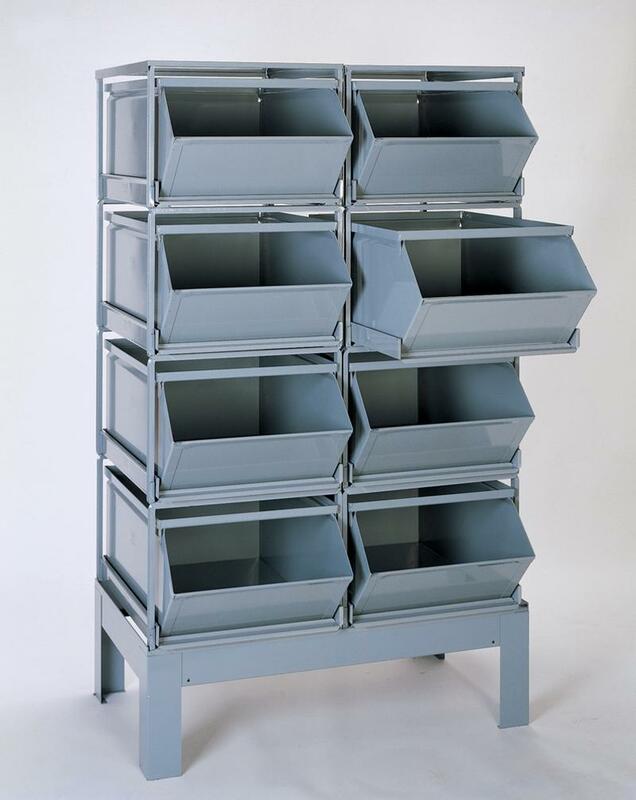 Here we are using # 4 Plasatic Stackbins and roller bearing Stackracks to create units with certain amounts of compartments. 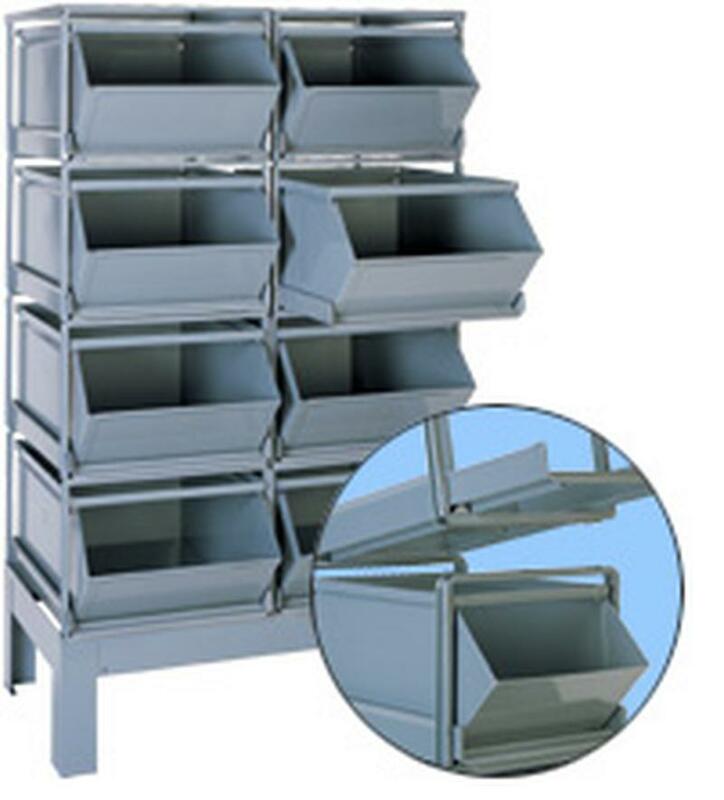 All bin and rack units are completly modular and can be reconfigured or added to at any time.